The Celtic Tree Calendar is a calendar with thirteen lunar divisions. Most contemporary Pagans use fixed dates for each “month”, rather than following the waxing and waninglunar cycle. If this was done, eventually the calendar would fall out of sync with the Gregorian year, because some calendar years have 12 full moons and others have 13. The modern tree calendar is based on a concept that letters in the ancient Celtic Ogham alphabet corresponded to a tree. Although you don’t have to follow a Celtic path to celebrate the Celtic tree calendar months, you’ll find that each of the themes in the Celtic tree months ties strongly to Celtic culture and mythology. 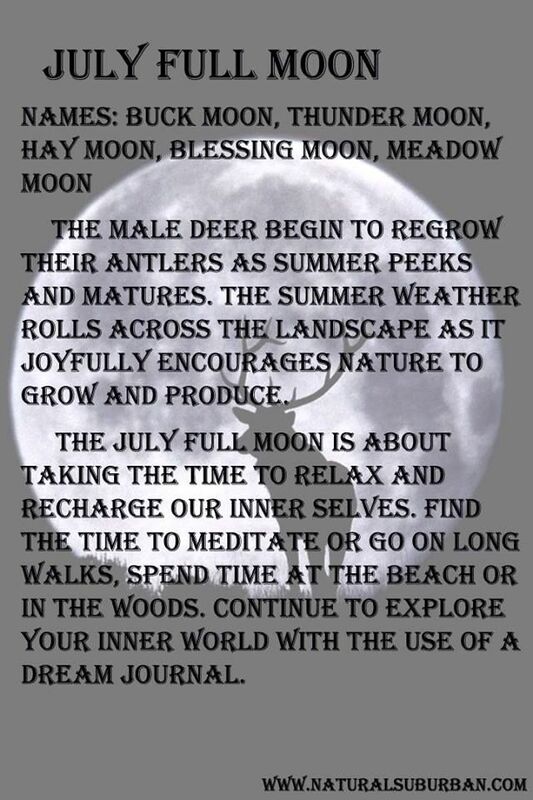 The Full Buck Moon – July July is normally the month when the new antlers of buck deer push out of their foreheads in coatings of velvety fur. It was also often called the Full Thunder Moon, for the reason that thunderstorms are most frequent during this time. Another name for this month’s Moon was the Full Hay Moon. 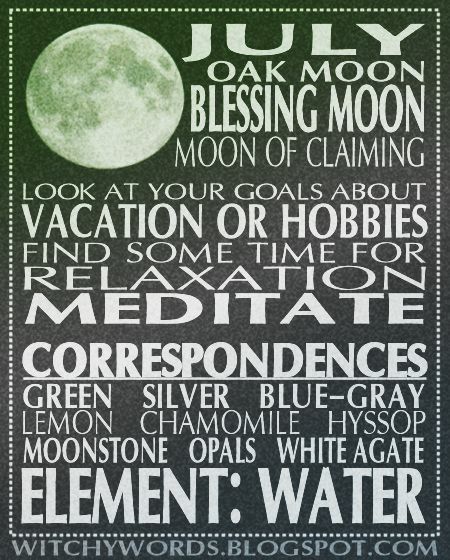 The first Full Moon is on July 1, 2015 and goes by various names depending on what tradition you look up. 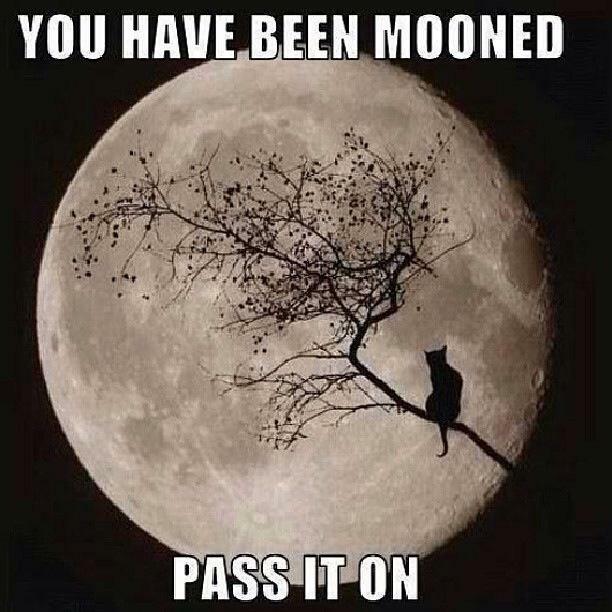 There will be another post with some of the names for this full Moon in it. The second full Moon is on July 31, 2015 and is known as a Blue Moon. Whenever there are two full Moons in the same month, the second is always called the Blue Moon. This usually happens once a year. This is why the ancient Celtics, Native Americans, Mayans, ancient Egyptians and other older culture yearly calendar had thirteen months. The first and last day of the month was on a full Moon. These months were approximately twenty-nine days long. There was not anything like leap year because it was not needed. 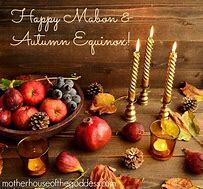 Many Pagan traditions still honor the thirteen-month year when celebrating Esbats and Sabbats. I personally follow a thirteen-month calendar for Esbats as I have incorporated many Celtic traditions in my Craft and spirituality. She may go by many names including Mother Earth but by any name she is beautiful. Wicca, Witchcraft or Paganism? What’s the Difference, Anyway? Question: What’s the difference between Paganism, Wicca and Witchcraft? A reader asks, I met a woman who is a witch, but she says she’s not Wiccan. Then there’s some guy I know who says all Pagans are Wiccans. Even more confusing, this site says Wicca AND Paganism, like it’s two different things. What’s going on? Wicca is a tradition of Witchcraft that was brought to the public byGerald Gardner in the 1950s. There is a great deal of debate among the Pagan community about whether or not Wicca is truly the same form of Witchcraft that the ancients practiced. Regardless, many people use the terms Wicca and Witchcraft interchangeably. Paganism is an umbrella term used to apply to a number of different earth-based faiths. Wicca falls under that heading, although not all Pagans are Wiccan. So, in a nutshell, here’s what’s going on. All Wiccans are witches, but not all witches are Wiccans. All Wiccans are Pagans, but not all Pagans are Wiccans. Finally, somewitches are Pagans, but some are not – and some Pagans practice witchcraft, while others choose not to. If you’re reading this page, chances are you’re either a Wiccan or Pagan, or you’re someone who’s interested in learning more about the modern Pagan movement. You may be a parent who’s curious about what your child is reading, or you might be someone who is unsatisfied with the spiritual path you’re on right now. Perhaps you’re seeking something more than what you’ve had in the past. You might be someone who’s practiced Wicca or Paganism for years, and who just wants to learn more. For many people, the embracing of an earth-based spirituality is a feeling of “coming home”. Often, people say that when they first discovered Wicca, they felt like they finally fit in. For others, it’s a journey TO something new, rather than running away from something else. 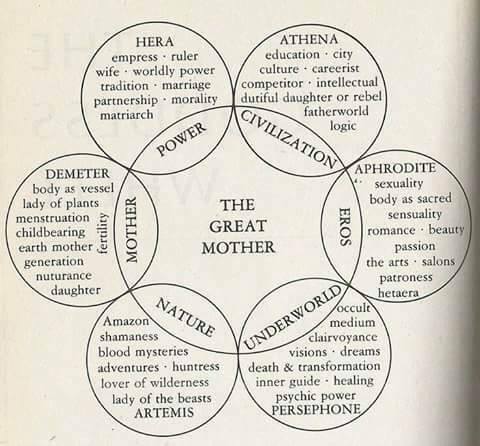 Please bear in mind that there are dozens of different traditions that fall under the umbrella title of “Paganism”. While one group may have a certain practice, not everyone will follow the same criteria. Statements made on this site referring to Wiccans and Pagans generally refer to MOST Wiccans and Pagans, with the acknowledgement that not all practices are identical. There are many Witches who are not Wiccans. Some are Pagans, but some consider themselves something else entirely. Just to make sure everyone’s on the same page, let’s clear up one thing right off the bat: not all Pagans are Wiccans. The term “Pagan” (derived from the Latin paganus, which translates roughly to “hick from the sticks”) was originally used to describe people who lived in rural areas. As time progressed and Christianityspread, those same country folk were often the last holdouts clinging to their old religions. Thus, “Pagan” came to mean people who didn’t worship the god of Abraham. In the 1950s, Gerald Gardner brought Wicca to the public, and many contemporary Pagans embraced the practice. 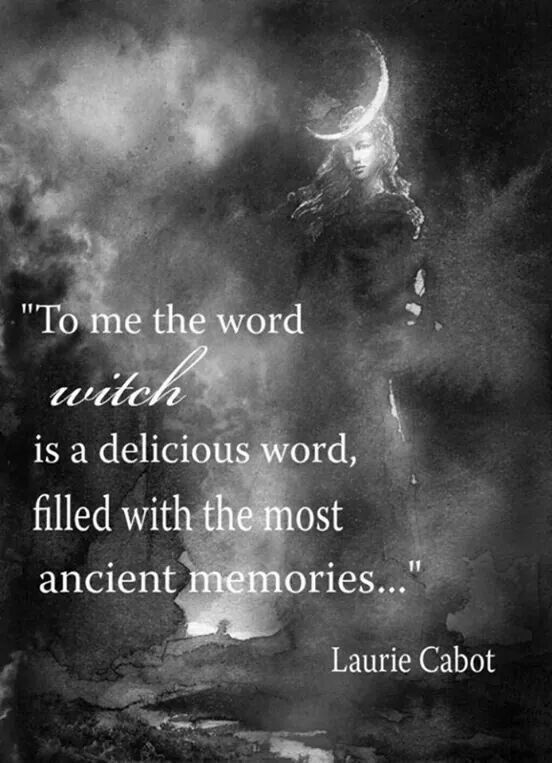 Although Wicca itself was founded by Gardner, he based it upon old traditions. However, a lot of Witches and Pagans were perfectly happy to continue practicing their own spiritual path without converting to Wicca. Therefore, “Pagan” is an umbrella term that includes many different spiritual belief systems – Wicca is just one of many. As if that wasn’t confusing enough, not all people who practice witchcraft are Wiccans, or even Pagans. There are a few witches who embrace the Christian god as well as a Wiccan goddess – the Christian Witchmovement is alive and well! There are also people out there who practice Jewish mysticism, or “Jewitchery”, and atheist witches who practice magic but do not follow a deity. There are a number of people who consider themselves Witches, but who are not necessarily Wiccan or even Pagan. Typically, these are people who use the term “eclectic Witch” or to apply to themselves. In many cases, Witchcraft is seen as a skill set in addition to or instead of a religious system. A Witch may practice magic in a manner completely separate from their spirituality; in other words, one does not have to interact with the Divine to be a Witch. I have been scrying this way for many years and for me it works better than any other method I have tried.